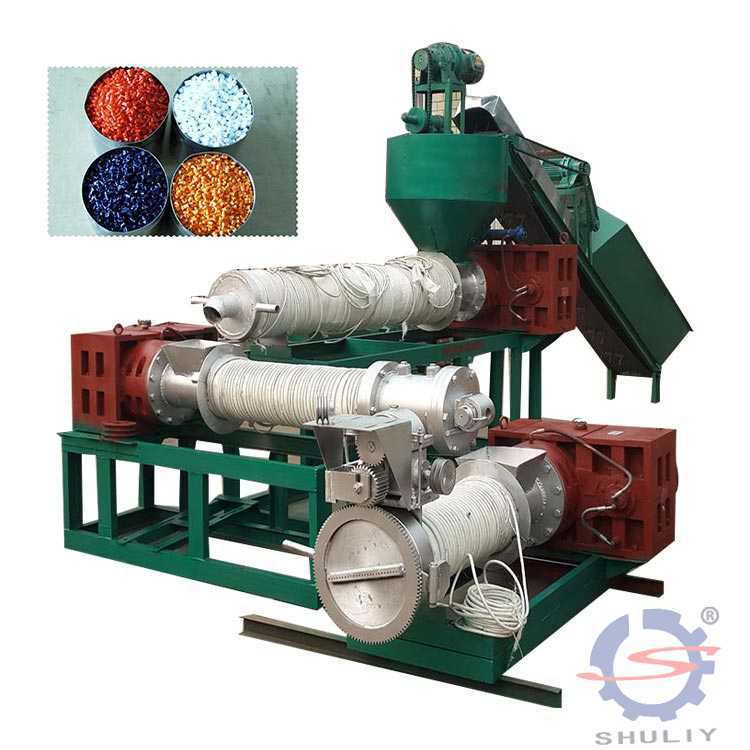 During the plastic processing, especially waste plastic recycling processing, waste plastic after sorting, crushing and cleaning, will be sent to waste plastic granulator for high temperature melting and filtering extrusion, during which, varying degrees of waste smoke emissions became a major source of secondary environmental pollution. If we emit waste gas without treatment will seriously pollute the environment, then how should we deal with waste gas generated by waste plastic granulator? The exhaust gas filter can match with the waste plastic granulator to increase the smoke removal rate over 98% then realize the real environmental protection processing of waste plastic. The high efficiency gas filter machine integrates hybrid hydrolysis smoke removing system with water ring vacuum smoke removing system, micro-filtration smoke removing system, multi-stage odor removing system and multiple automatic monitoring and control systems. It has many functions of smoke removing, steam removing, odor removing, dust removing and particle removing. The exhaust gas generated in industrial production goes into the dust removal system for disposal, and the solid particles are removed before entering the deodorant device. In the deodorant device, the odor in the exhaust gas are degraded and purified into the atmosphere under the effect of the specially cultured microorganisms. Biological method is todispose and degrade odorous waste gas through microorganism and biological filtration. After biodegrading inorganic substances, volatile organic compounds and other pollutants in the waste gas, they are finally converted into non-toxic and harmless CO2 and H2O, so as to achieve the purpose of purification. 1.In daily use microorganism deodorant will consume little power except some for air resistance and save energy. 2.In addition to a year or so to replace and refill the filler and microbial species, no other maintenance costs, gas filter costs very low. 3.The whole system works under negative pressure without exhaust escape. The above is how waste gas produced by plastic granulator is disposed providing for you as a reference. If you are interested in our machines, welcome to our factory for a visit.